3D printing materials are evolving and many researchers aim to develop new materials that can expand the capabilities of 3D printing technology. The accuracy of the printed materials and characteristics of the material itself is the challenging part in the process. 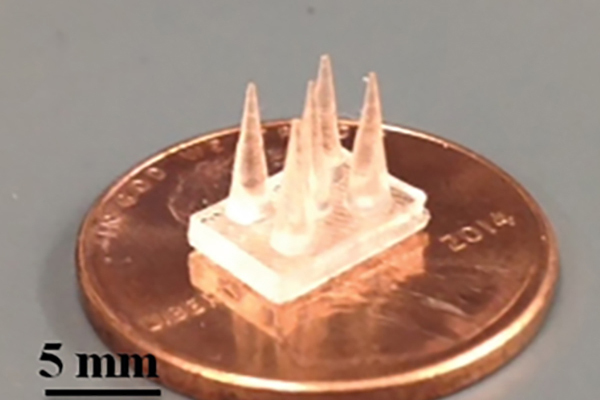 Researchers at the Virginia Tech University were able to 3D print objects made from thin layers of ionic liquid into very small sizes while preserving the model details. The ionic liquid used in the research is the 4-vinylbenzyl trioctyl phosphonium bis(trifluoromethanesulfonate)imide mixed with diacrylic monomer such as 1,4-butanediol diacrylate or poly(ethylene glycol) dimethacrylate. Both materials are cured using UV light and once it is hit by light, the diacrylic monomer and phosphonium ions form cross-linked polymer networks. Building the model layers work in similar ways to stereolithographic printing. The computer system generates patterns for the UV light on an exposed layer of the liquid. The generated-patterns are based on a predetermined computer model. The layers are then covered with the ionic liquid repeatedly until the interactions form the final models. 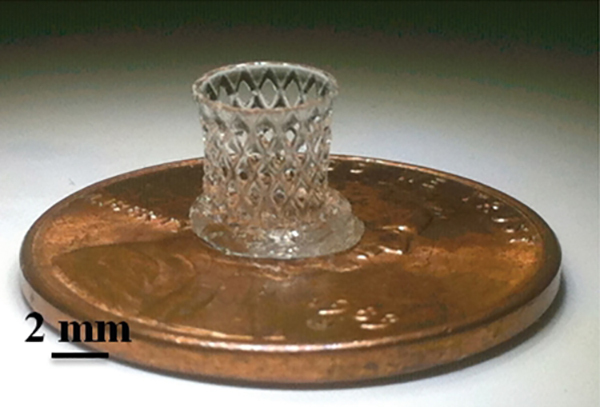 This technology allows the creation of very small 3D printed objects that can reach 25 microns. 3D printing with the ionic liquid is compatible with human cells and can be accepted by the body at any life stage. While the researchers did not develop more complex or functional objects, the phosphonium ionic liquid becomes more available than other ionic liquids such as the nitrogen-based polymers. The researchers are a still on an early stage but the initial results are promising and on course. The team in Virginia Tech University are developing new 3D printed materials and exploring their practical possibilities especially in the medical disciplines such as in the fuel cells and tissue scaffolds.